It was Peter the Great who brought to Russia from Holland the nice tradition to use porcelain plates as house decorations. Since that time the fashion hasn't changed any more. 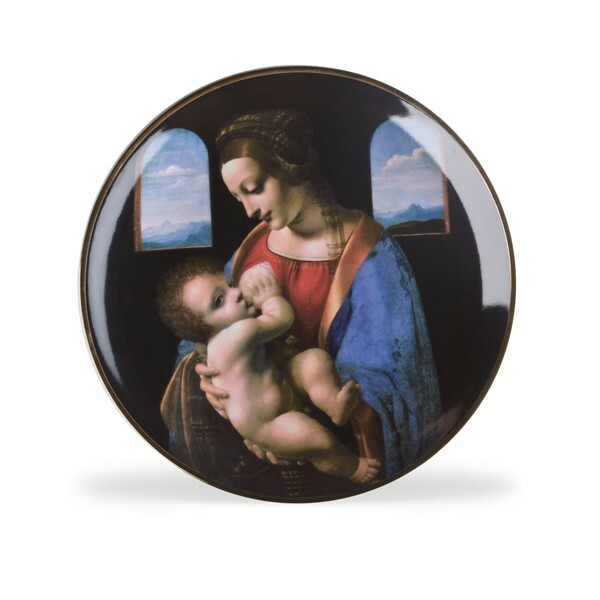 Depicted on this plate is the subject of the famous picture by the well-known Italian artist Leonardo da Vinci "Madonna and the Child" (1490 - 1491). The picture is produced on the plate in overglaze decole technique which makes the image more durable up and colorful then a simple silk-screen print. The lovely subject and refined execution make the plate an attractive element of any interior. Small Plate "Still Life with Drapery"